Every partnership firm requires a partnership agreement and confidentiality agreement for the partners to sign on. 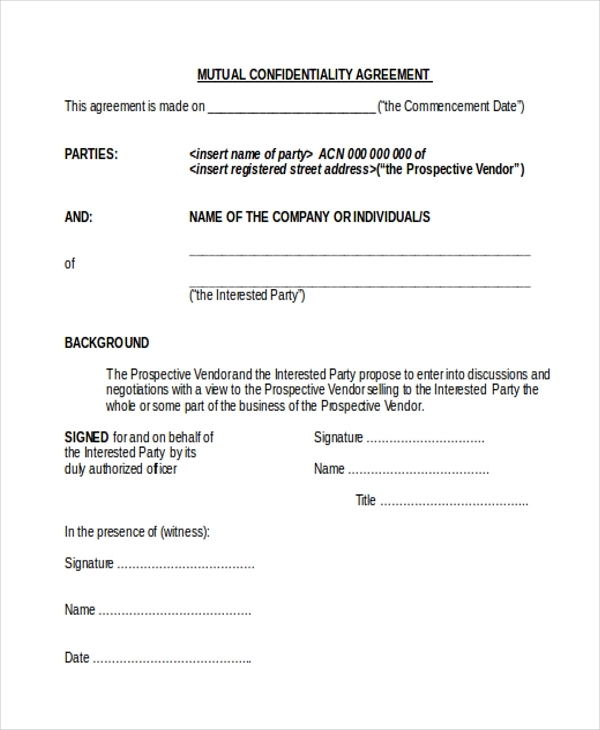 To make it easy, we have a wide range of ready to use confidentiality and partnership agreement forms. 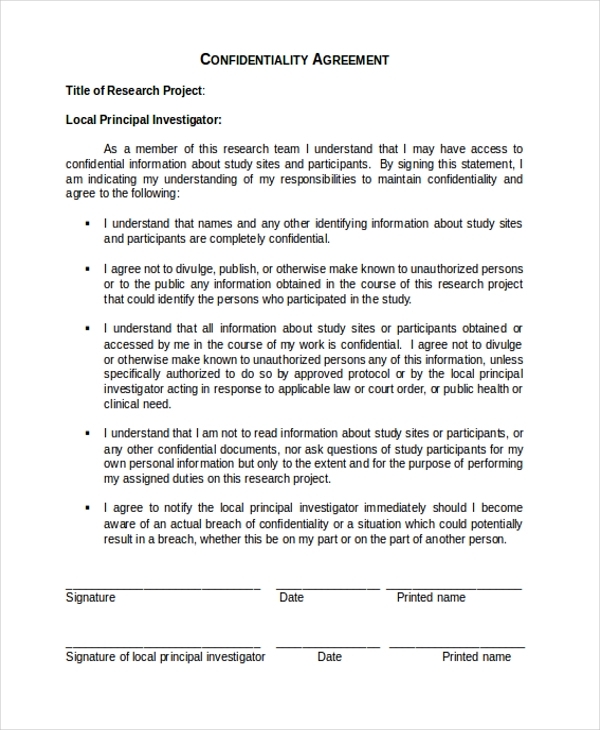 These Agreement Forms are pre-drafted, easily editable and can be printed as well as emailed. Companies and professionals from different industries will find these forms handy and useful. 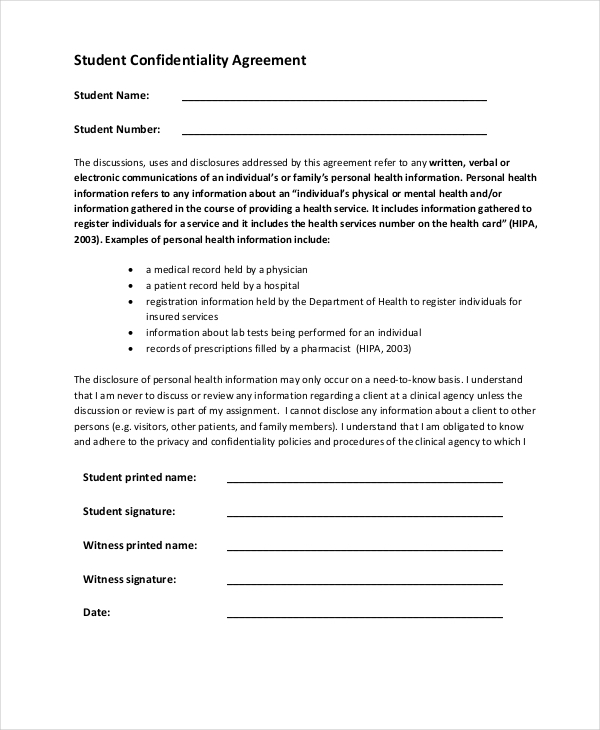 These confidentiality forms are available for medical agreements, employment agreements, basic agreements, volunteer agreements, student agreements and various other purposes. 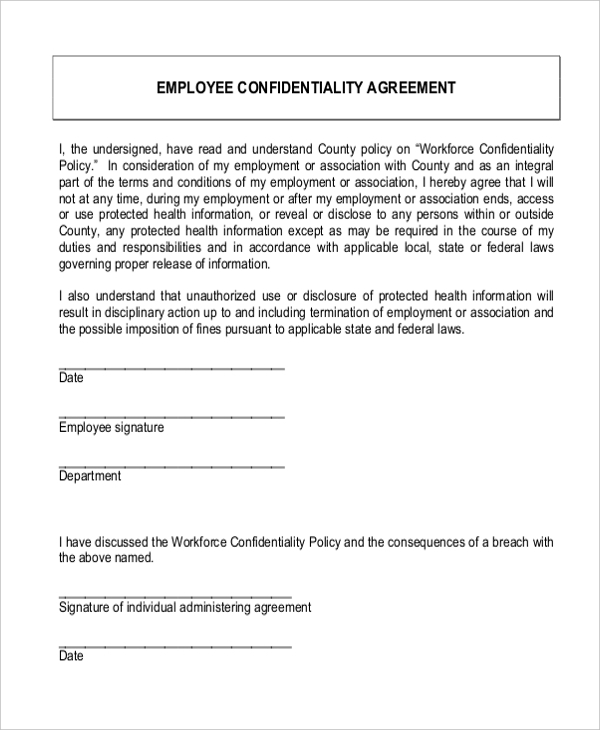 The employee confidentiality agreement form is available in PDF format. This form has space for the terms of the agreement, details of the employee and the signatures of both the employer as well as the employee. The confidential disclosure agreement form is available in PDF format. It carries the terms of the agreement, details of the recipient, details of the disclosed and other relevant information. You may also see Consignment Agreement Forms. 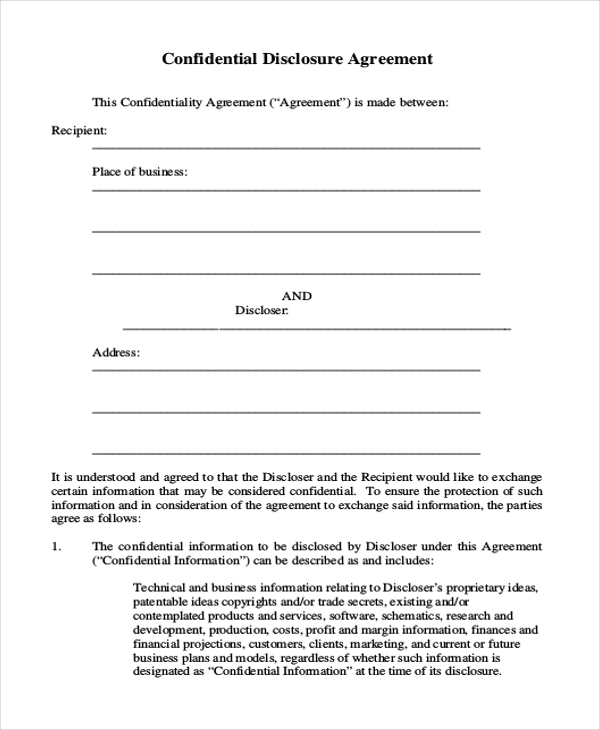 The basic confidentiality agreement form is available in Word format. It can be easily edited to suit the requirements of the user and printed out. 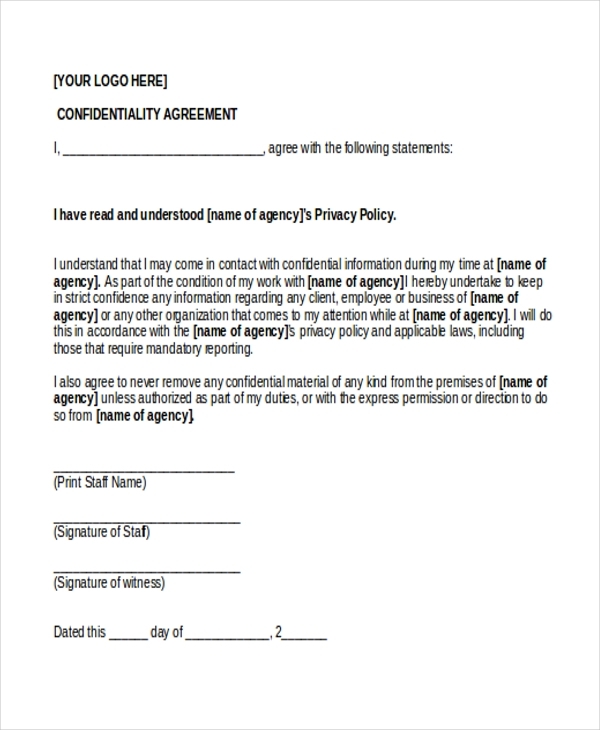 Companies that need to make employees sign confidentiality agreements can use this form. 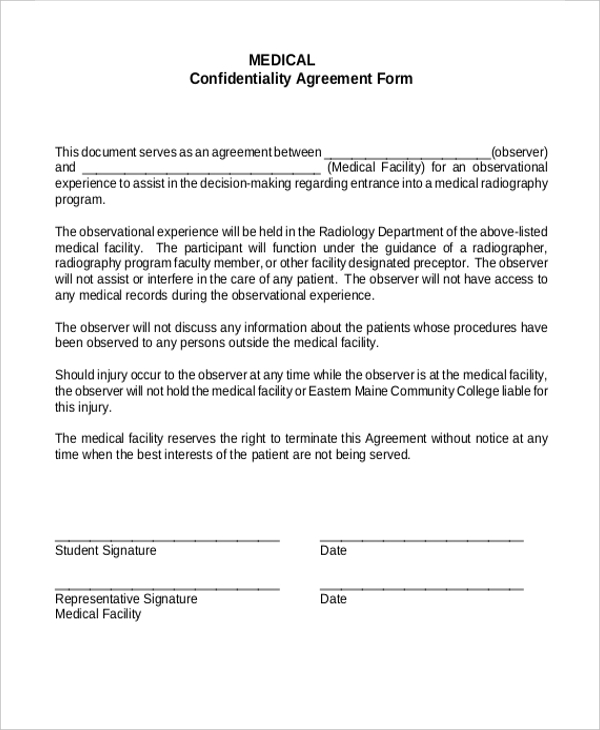 The generic confidentiality agreement form is available in Word format. It can be easily edited to suit the needs and preferences of the user. Research companies can use this form. 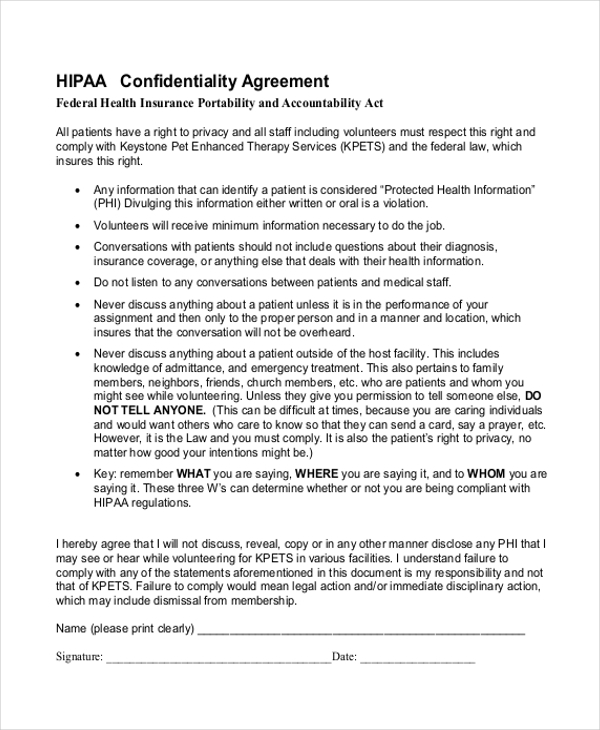 Health insurance companies can use the HIPAA confidentiality agreement form. This template is available in PDF format. It has space for the agreements of the term and other relevant details. You can also see Cohabitation Agreement Forms. The mutual confidentiality agreement is available in Word format. It can be easily edited as per the requirements of the user. This form has space for the names and information of both parties. 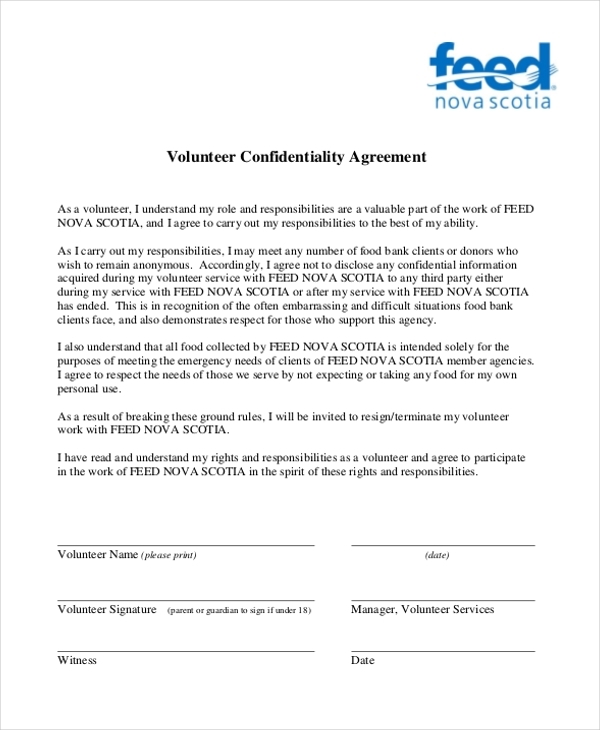 The volunteer confidentiality agreement is available in PDF format. This form has space for the name, signature and other details of the volunteer. Additionally, the details of the photo or video release if any can also be added to this form. You can also see Buy-Sell Agreement Forms. The student confidentiality agreement can be useful for universities, schools and other kinds of educational institutions. This form is available in PDF format. The details of the student, his signature, witness signature and other details can be added to this form. Who Are The Target Audience For The Confidentiality Agreement Forms? Various organizations and individuals can use the confidentiality agreement forms. Typically anyone who wishes to sign a confidentiality agreement with their employees, students, clients and other associates can use these pre-drafted confidentiality agreements. The agreements legally bind both parties and prevent the leaking of important and confidential information. You can also see Hold Harmless Agreement Forms. Business partners will also find these confidentiality agreements very useful to attach to their partnership agreements. Medical institutions, business organizations, educational institutions, legal firms, health insurance companies and various others can use the agreements. Thus, these agreements are extremely handy and useful to many. What Are The Benefits Of Using The Confidentiality Agreement Forms? The confidentiality agreement forms have several benefits. Firstly, these forms are absolutely free of cost, thereby saving the company or user an adequate amount of money. The user doesn’t need to depend on a lawyer to draft these agreements from scratch and thereby spend large sums of money on paying the legal fee for his attorney’s services. Another reason that these forms are useful is because of their convenient and universal formats. They can be saved and edited and re-used as per the requirement of the user. These forms are also extremely beneficial because of printer and email friendly features. You may also see Operating Agreement Forms. So if you’re setting up a partnership firm or need a confidentiality agreement for your employees, you have come to the right place. Just select a form from the above-mentioned list that best suits your need and requirement. You can edit it, add the necessary additional information that you need to, print it out and have both parties sign.